Vintage Cameras, becoming more and more expensive to use with the costs of processing and film and what not. Why not put them to a better use while still looking suave sitting on your already cluttered desk? 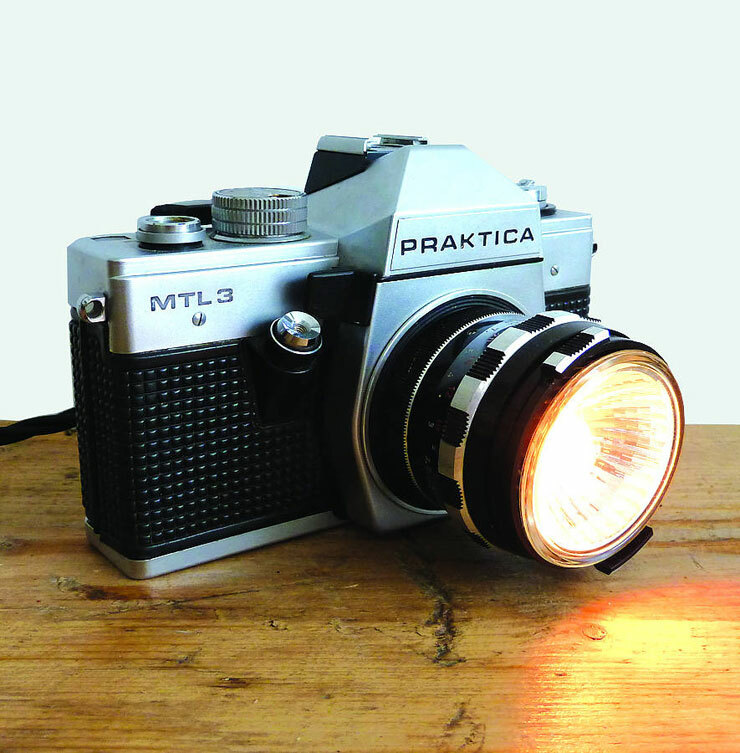 I give you, Vintage Camera Lamp! Do Want!